Bellingham is well-suited for retirees. The pace of life here is relaxed, the environment is beautiful with so many ways to enjoy it. Many choose to leave big cities and their problems behind in their later years. However, when a driver – at any age – doesn’t pay heed to their limitations and injures someone as a result, this may constitute negligence or break a law. If you are the victim in a car accident case like this, you may be entitled to damages that resulted. Every time motorists accept a passenger into their vehicle, they form an upspoken agreement that they’ll both do what it takes to make the drive a safe one. Yet it is the driver’s ultimate responsibility to maintain the passenger’s well-being as long as that person is a passenger. Reckless, negligent driving – including drunk, drugged, or distracted driving – puts everyone in danger, especially those who are not in the driver’s seat. In case of an accident those behaviors cause or contribute to, the passenger retains the right to hold the driver liable for damages and losses that result. Injured in a car accident in which you were the passenger? Click for more information. If you have been involved in a single car crash that occurred through no fault of yours, it may feel as though you don’t have any options for finding financial help to get you through the recovery process. Further, the insurance company and perhaps the authorities will likely figure that the crash was your fault, and it’s tough – as well as inadvisable – to argue against them on your own. 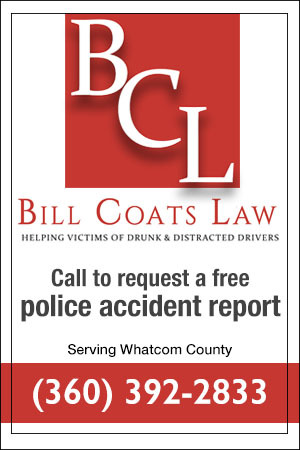 There are often many factors at work in a car crash, and a single vehicle collision is no different. 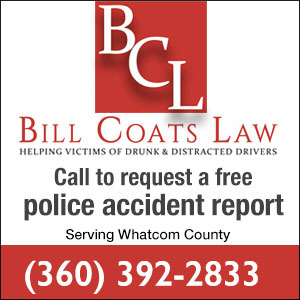 Click to learn more about your options if you were involved in a Whatcom County car crash with only a single vehicle involved. According to AAA, the afternoon hours are particularly dangerous for kids being hit by cars. Nearly a quarter of child pedestrian fatalities occurred between 3 p.m. and 7 p.m. Children don’t have enough experience to know what to do in unexpected situations that can happen so fast, and sometimes they do unexpected things. No driver wants to be responsible for a devastating accident at any time – especially one that involves children. Drivers need to be especially careful when driving around kids, and here are some things from AAA’s School’s Open – Drive Carefully campaign to think about. Who pays after a car accident? What happens if the at fault driver doesn't have enough insurance? In many states including Washington, all motorists are offered underinsured or uninsured motorist protection by their insurance company. So if the at fault driver doesn't have enough money to pay a full, fair settlement, you can turn to this part of your policy to file your claim. However, there are rules and special circumstances that may apply so it's best to talk to a lawyer before you file an uninsured or underinsured motorist claim. Click this video link to learn more about who pays after a car accident. In our fast-paced world, distractions are rampant. Technological innovation has given us so many options vying for our attention, which is a very lucrative business. Smart phones are everywhere, and contain a tiny universe of information packaged in colors, sounds and vibrations, providing endless interface as soon as we dip our attention down into the screen's stream. There are headphones with great sound quality that bring us into our own world right in the midst of the one we share with other people. More and more people are apparently learning how to cope with being addicted to electronic devices. While distracted driving gets a lot of press because the statistics so obviously show the danger, here are a few recent studies and facts that show how being distracted impacts us in many ways.